A joint position paper on the Commission’s Mid-Term Maritime Strategy Review was presented on May 22, declaring the social partnership between the European Community Shipowners’ Associations (ECSA) and the European Transport Workers’ Federation (ETF). The paper shows that ECSA and ETF are working together for the first time following common goals for the future of the European Commission’s maritime transport policy. The cooperation between both social partners proves the vitality and the effectiveness of the dialogue existing at EU level. Additionally, the joint position paper underlined the need to ensure an appropriate framework for the provision, improvement and adaptation of education and training for crews. In the Paper, the social partners insist on the importance of complete enforcement of some international and European requirements, such as the International Convention on Standards of Training, Certification and Watchkeeping for Seafarers (STCW). 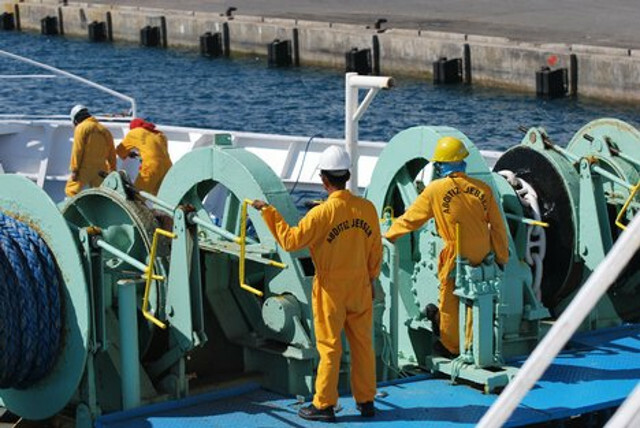 They also call for regular improvements of the Maritime Labour Convention standards. In this relation, suggestions for more state support for training and education, were given in the document. Furthermore, standard improvements could be made by continued support for projects put forward by the Social Partners for Maritime Transport in their Sectoral Social Dialogue Committee. The recommendations of the joint position paper will have a significant role to the Commission’s ongoing review of its 2009-2018 maritime strategy. This official document complements the individual answers that both associations submitted in the framework of the public consultation. It stated that the European Union should provide lifelong career prospects in the maritime industry and maritime clusters. Also it has to increase the labour mobility in the maritime industries throughout Europe.